Italian for adults Italian courses for adults and students of all ages and language levels who want to study Italian in the summer or throughout the year. Italian courses for Seniors Italian language courses specially designed for students over 50 who want to improve their grammar, conversation and at the same time, some social and cultural aspects of the host country. Italian for Professionals These are specialised Italian courses where you will learn the fundamentals of your target language, including listening, speaking, reading and writing, and you will use the Italian language in familiar professional situations. Italian courses plus activities Your group Italian language course will take place in the morning, leaving the afternoons free to indulge in your favourite activity, from salsa, cooking and wine tasting to surfing, tennis and more. Italian Exam Preparation Italian Exam preparation courses designed to improve your skills for the exam so you will learn techniques for doing the reading comprehension quickly and efficiently. Italian courses for Juniors Each summer or throughout the year, Language Bookings teams up with our most trusted language schools to provide an excellent collection of Junior Italian Language Holidays in a safe, fun and international environment. 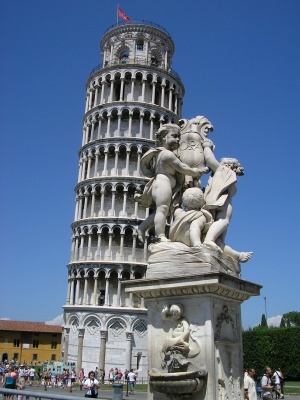 Find the lowest prices for Italian Language Courses Abroad! Are you looking for Italian language schools in Rome or a specific Italian language course? How about to learn and speak Italian in Italy or beginners Italian course in Sicily? Whatever type of Italian course you are looking for, Languagebookings.com will help you find it—and at the lowest possible price! Browse over many Italian schools in many locations across the globe until you find the Italian course and school that is right for you. We make it easy to find discount prices at the most popular schools abroad and we provide detailed school information, photos, videos and students reviews for a great variety of Italian schools abroad. Choose Languagebookings.com for all your courses reservations, and see why more and more students are choosing us for to study Italian language abroad.